Aunt Nine left us two years ago. I woke up. Read some prior posts about her. Spoke with my uncle and her children. 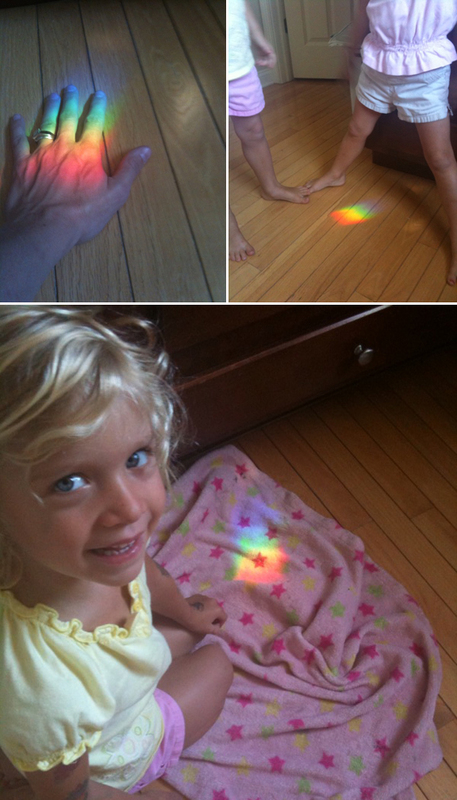 So I was simply amazed when I walked into the kitchen to see her prism casting the most beautiful rainbow. We haven’t seen one since the first of Spring. Nothing is a coincidence. Did Aunt Nine ever use Facebook. Interesting article in the New York Times about how the “Ghosts Reach Out.” If so, she may be more than rainbows that visit my kitchen from time to time.